The crocuses are blooming! 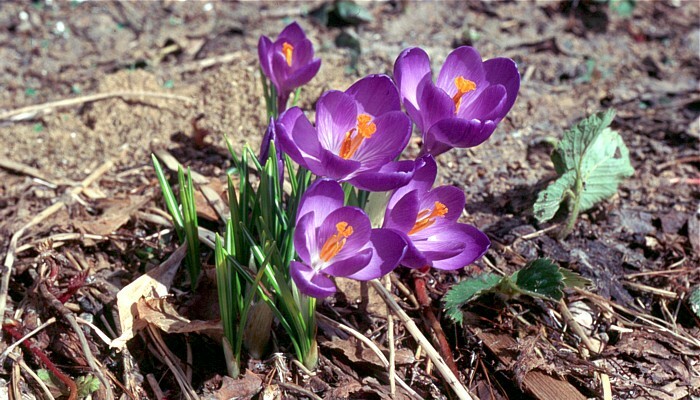 The crocuses are blooming! . . . Oh, yeah? Well, it is a big deal, to me and a lot of other nature nuts! It's the real beginning of spring! The start of the growing season, when bees start buzzing, buds start popping and green blades push up through the brown grass. After a long winter, having to make do with nature shows on PBS and Discovery Channel, we get to start enjoying the real thing again! 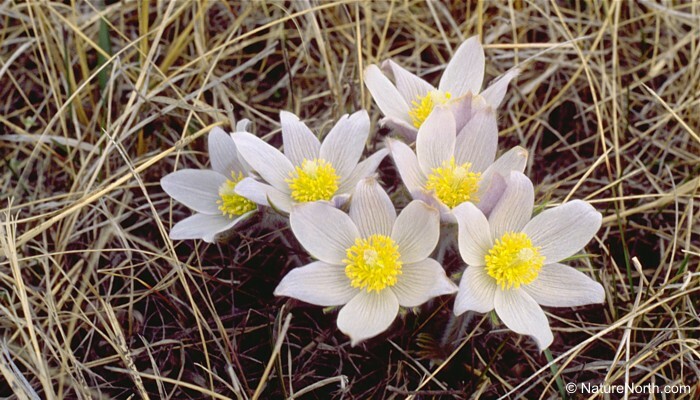 And the prairie crocus, that's Anemone patens (also know as Pulsatilla patens) to you botanists out there, provides a beautiful and fascinating start to the outdoor season. 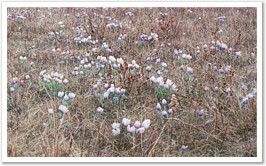 The prairie crocus serves as Manitoba's floral emblem. 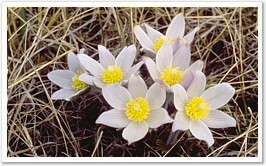 We weren't the only ones to think so highly of the crocus; it's also the floral emblem of South Dakota. As our emblem, the crocus' name and likeness are common place on government publications and even in the private sector. There was a prominent investment fund in Manitoba that drew its name from this famous plant. But the fortunes of the Crocus Fund have dwindled, much like the plant itself. 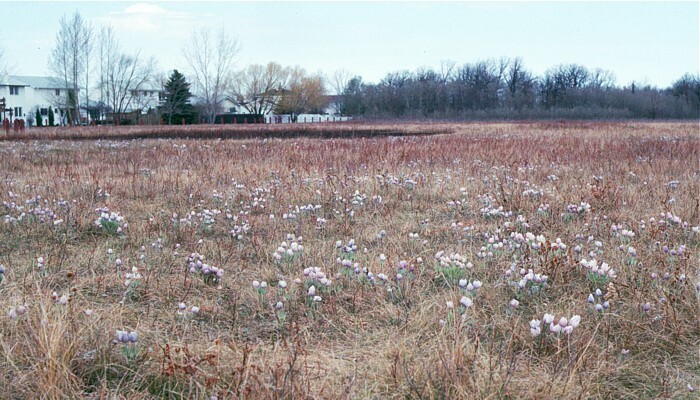 The crocus is no longer a common-place plant in much of this province. - Take a look at the City of Winnipeg's coat of arms, . . . But enough of gloom and tears over spilt milk. It's spring time and the crocuses are blooming! And anyway, I don't get mad, I get busy! Each year, from many secret sites I get picking, not crocus flowers, ...their seeds! And together with Winnipeg's Living Prairie Museum, we sell those seeds. For you see, we are crocus pushers! 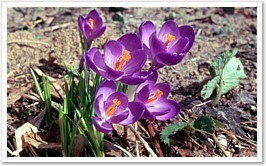 Our aim is to hook everyone on crocuses, so they crave the sight of those gentle mauve blossoms each spring. So they'll grow their own and plant them in their yards. So their neighbours will see them and want them, too. Soon, they'll be everywhere again and there's nothing you can do to stop us . . . .